This lesson will show you how to drag single or multiple images onto a lesson. 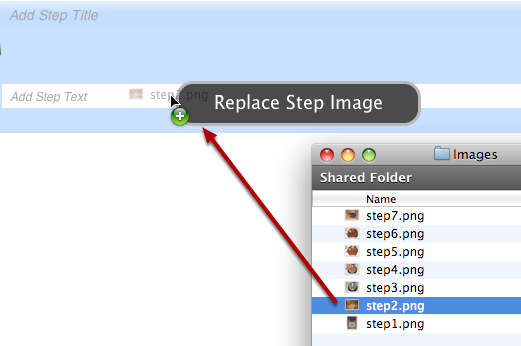 This can be a quick way to create steps if you already have existing images you would like to use. 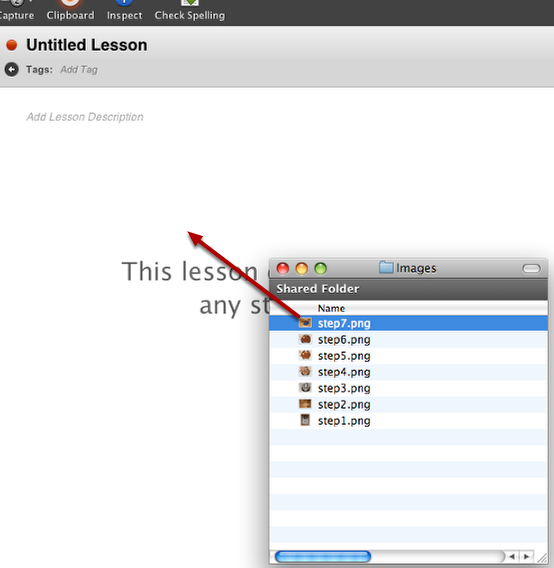 Drag a single image into the lesson area and a new step will be created with that image. Here the step has been created. 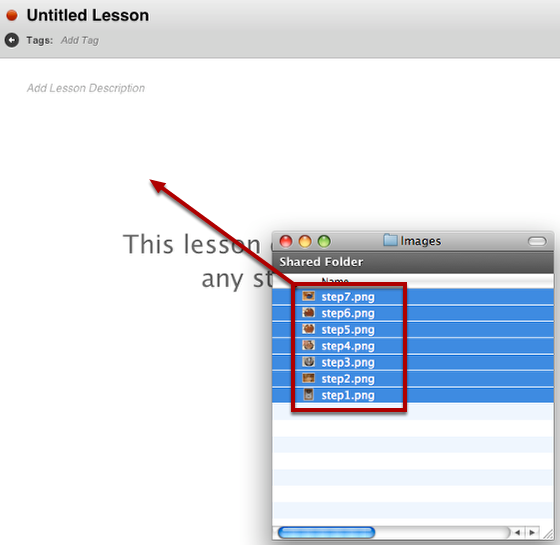 Dragging multiple images into the lesson area will create multiple steps. The images will be inserted in the order they appear after sorting by file name. Drag an image onto an image in an existing step to replace it. Is there any way to put multiple images into one step? @mv: the only way to add multiple images to a step is to use a 3rd party image editor to combine the images. One workaround is to put a step title and an image in one step and then an image and the step instructions in a second step. When exporting the images will appear one after the other. 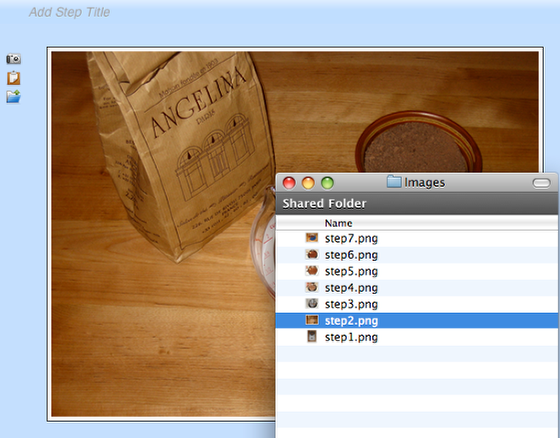 Multiple images in a step is a feature we plan on adding in a future version. What about inserting an image between 2 other images? And what do I do if the order is wrong and I want to rearrange the steps? On the topic of the multiple image support with a future version, do you know when, whether exact or estimated, this future version will release? @Joe - we don't have any exact dates for the update. We hope within the next few months.